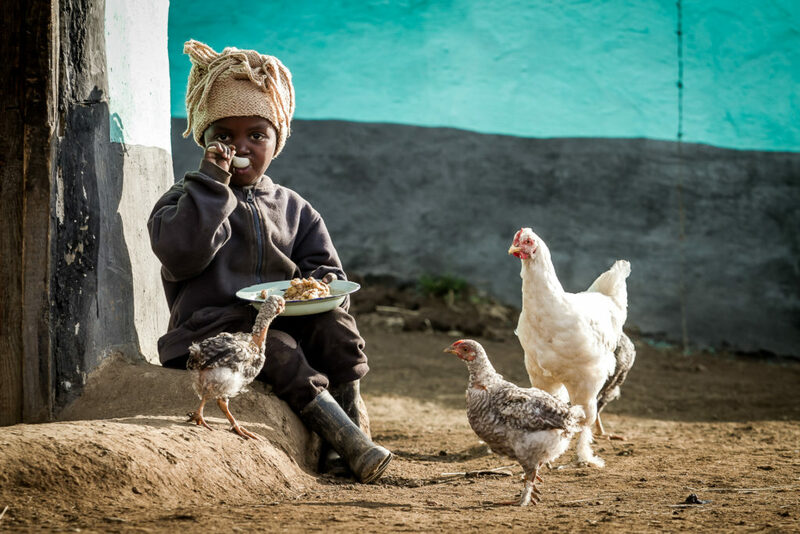 Join Katina Hansen of Blue Ridge Bakery for a 14-day South African Culinary & Wildlife Experience. Limited spots available. A South African Culinary & Wildlife Experience! Join a small group of culinary-enthusiasts, wildlife lovers, and travelers as we journey to some of South Africa’s most amazing locations. 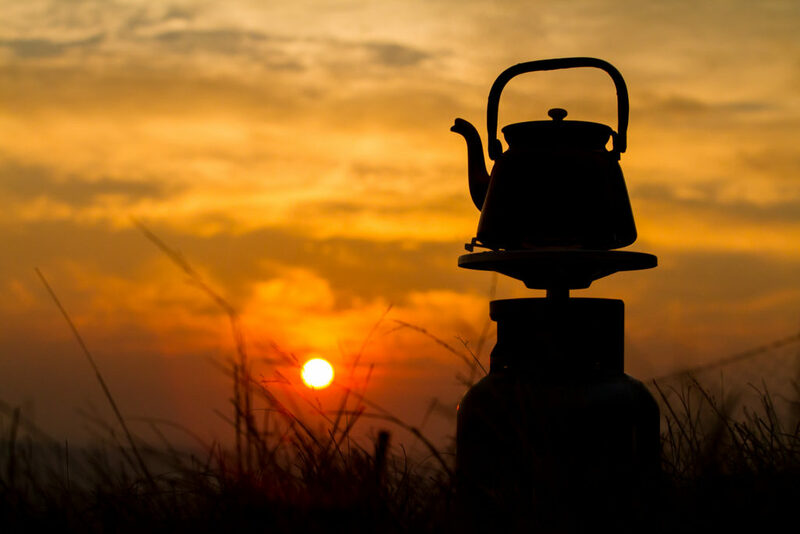 This tour is focused on some of the best wildlife viewing opportunities South Africa has to offer, combined with some exciting chances to learn some traditional South African cooking styles and enjoy delicious dishes from across the country! Keep scrolling for itinerary and more details! Durban to Hluhluwe-iMfolozi Game Reserve. Morning departure for Hluhluwe/iMfolozi Game Reserve. Hluhluwe/iMfolozi is set in the heart of Zululand, and is the oldest game reserve in Africa. This is where Zulu kings such as Dingiswayo and Shaka hunted and put in place the first conservation laws, and where today the "Big five" of African legend stalk the verdant savannah. 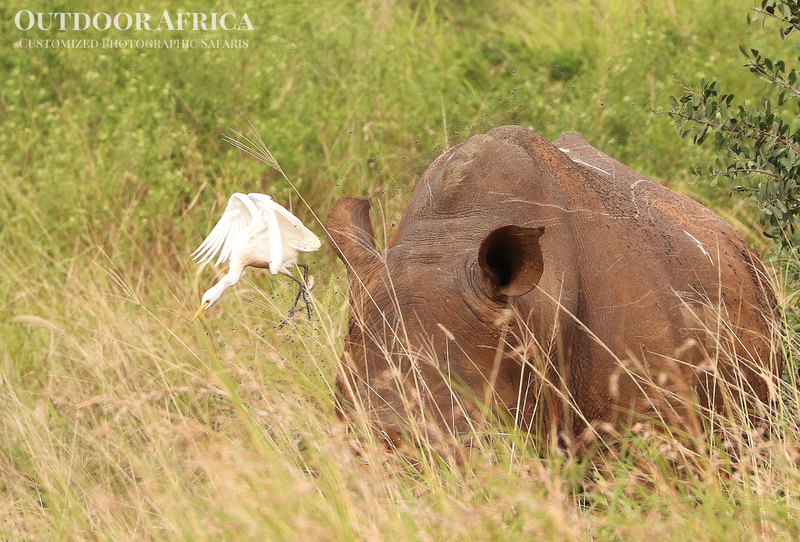 The Park became world renowned for its white rhino conservation methods implemented during the 1950’s and 1960’s. Established in 1895, game viewing is the prime attraction. Viewing hides overlook pans and waterholes enabling visitors to see animals at close range. Previously managed as two separate parks, the Hluhluwe (in the north) and iMfolozi (in the south) were joined into one large game reserve. The wide range of plant life in the park gives rise to a diversity of mammals, birdlife, reptiles and amphibians. The Big Five - Lion, Rhino (back & white), Elephant, Buffalo, and Leopard are all to be seen in the park, as well as a variety of other species, including Cheetah, Wild dog, and Giraffe. It is also one of the best places in the world to see Nyala. Hluhluwe is characterized by hilly topography, and this northern section of the park is noted for its wide variety of both bird and animal life. iMfolozi, the southern section of the park, lies west of the town of Mtubatuba. The region is generally hot in summer, and mild to cool in winter, although cold spells do occur. Larger mammals to be seen include buffalo, blue wildebeest, zebra, giraffe, elephant, and large numbers of impala, waterbuck, common and mountain reedbuck, nyala, kudu, bushbuck, steenbuck, duiker, warthog, black rhino, lion, leopard, cheetah, hyena, and jackal. In excess of 300 species of birds have also been recorded. Included: Breakfast, dinner, afternoon game drive (if possible), and overnight Hilltop Camp. Morning and afternoon game drives in Hluhluwe/iMfolozi Game Reserve. Included: Breakfast, dinner, two game drives daily, and overnight Hilltop Camp. After breakfast, morning departure for Somkhanda Game Reserve. En route we will visit a local village market known as Zamimpilo Community Market. Somkhanda Game Reserve: When the Gumbi Tribe won a successful land claim over a substantial tract of prime Zululand bushveld, the result was the consolidation of a number of privately owned game and hunting ranches into a 12000ha game reserve. This magnificent Zululand wildlife reserve, being ideal habitat for white and black rhino, was identified by the Black Rhino Range Expansion Project as being suitable for the introduction of a founder population of this rare and endangered species. A local partner company has been awarded an exclusive concession over the entire reserve to develop a range of wildlife experiences that add to the financial sustainability of the reserve, as well as aiding in the collection of vital scientific data on the fauna and flora required to inform the reserve’s management. A variety of ongoing research and conservation management projects makes Somkhanda an ideal location for a ranger training program. The reserve boasts the Big 5, having recently introduced Buffalo, Elephant, and Lion. 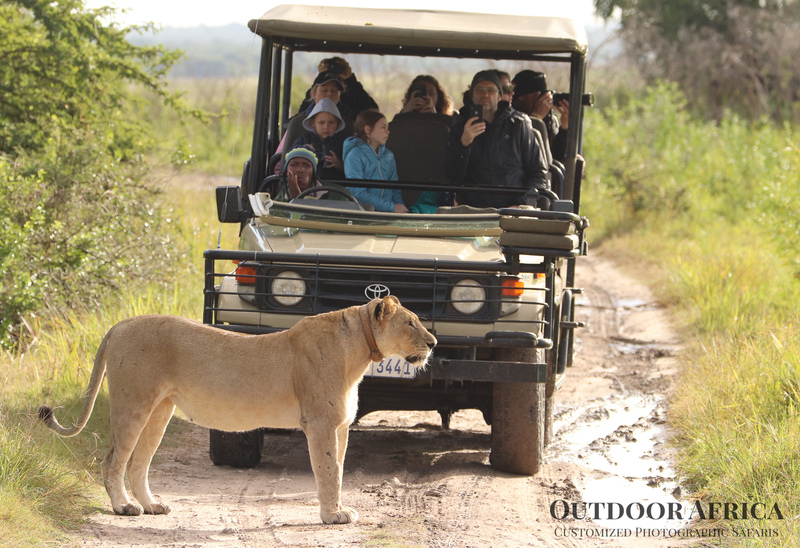 Enjoy an afternoon game drive! For dinner, you will experience a traditional South African Braai! Included: Breakfast, afternoon game drive, braai dinner, and overnight Kudu Lodge. Today will be set aside for exploring and enjoying the Somkhanda Game Reserve. In the evening, we will get to experience our first traditional cooking class! Join us as we learn the art of a South African Poetjie. 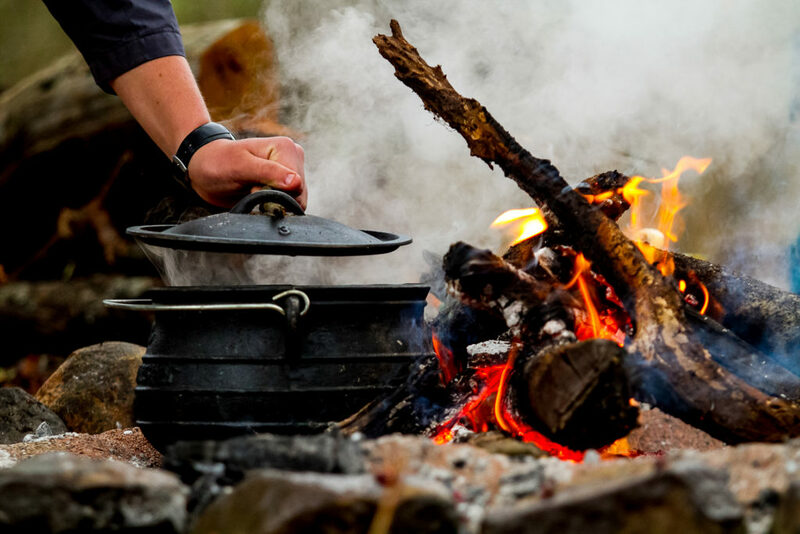 We will learn from one of Somkhanda’s local resident chefs on how to prepare and cook (over an open fire) one of these classic South African meals best cooked when out in the bush! Enjoy the spoils of your work under the beautiful South African sky! Included: Breakfast, game drive, cooking class/dinner, and overnight Kudu Lodge. Tembe Elephant Park is situated in the north eastern region of KwaZulu Natal, now known as the Elephant Coast. This reserve was established in 1983 to protect the last remaining herds of “free-ranging” Elephant in South Africa, known as the “Great Tuskers”. These herds migrated seasonally between Mozambique and the north of Zululand; however they faced constant harassment over the border, and preferred to stay in the dense Sand Forest thickets of Tembe. Tembe is one of the few places left in South Africa where the true African wilderness experience can still be enjoyed. Royal Thonga Safari Lodge is the culmination of a dream of the local community, private investors, and the Royal Tembe Development Foundation to create a natural paradise for visitors to this unique reserve. The lodge is architecturally designed to emulate the local Tonga building style, and each of the fourteen chalets are uniquely positioned to offer guests total privacy and luxurious comfort within a sand forest in Tembe Elephant Park. Natural materials and timber give a warm organic ambience and invite the outdoors in - all rooms are appointed with quality furnishings and bathrooms come complete with an indoor and private outdoor shower for those whom enjoy immersing themselves in their surroundings in rare solitude and perfect tranquility. Afternoon game drive in Tembe Elephant Park. Overnight Royal Thonga Safari Lodge. Included: Breakfast, dinner, afternoon game drive, and overnight Royal Thonga Safari Lodge. Your guide will be on hand for a morning departure for the local Ilala Palm fields, where you will get to see how the local Tembe community harvests and extracts palm wine from the wild Ilala Palms that grow in the area. Feeling adventurous? Have a taste and see what you think! On return to Tembe we will visit a local Thonga village and school (if in session) in order to experience some more of the local Tembe/Thonga culture. Lunch will be enjoyed at a local “shisanyama”. Return in time for the afternoon game drive, and enjoy a sundowner in the park. Included: Breakfast, community visit, game drive, dinner, and overnight Royal Thonga Safari Lodge. You will start the day with an early morning Game Drive! Upon your return, we will enjoy a brunch and a rest before our next cooking experience! In the early afternoon, we will learn the art of making South African crunchies from one of the local chefs of Royal Thonga Safari Lodge. These delicious, easy-bake biscuits are one of the most popular in South Africa. What sets them apart? These bars are sweet, salty, crunchy, spicy, buttery, and oh so delicious! 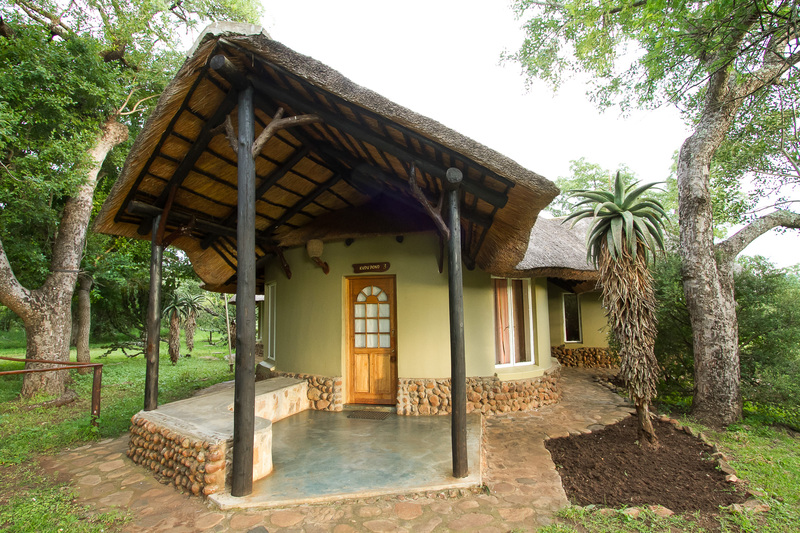 Time permitting, enjoy an afternoon game drive, or just enjoy some leisure time at the lodge. Included: Breakfast, game drive(s), cooking experience, dinner, and overnight Royal Thonga Safari Lodge. Durban is the largest city in the province of Kwa-Zulu Natal, and the third most populous city in South Africa. With a mix of indigenous South African and Indian history, Durban has a rich and vibrant culture worth being explored! The balance of your day will be at your leisure. Your guide will be available for transfers and suggestions! Overnight Africa Regent Guest House (or similar as available). Included: Breakfast, transfer, and overnight Africa Regent Guest House (or similar as available). For those interested, after breakfast we will enjoy a local city/beach tour of Durban. Enjoy this day at your leisure or join your guide to explore the sights and sounds of this wonderful city! The evening will be set aside for a private cooking course focusing on one of Durban’s best known local delicacies, the Bunny Chow (or similar Indian-African dish)! No bunnies involved, this local dish is a South African twist on Indian curry. As the story goes, migrant Indian workers in the South African sugar plantations required a way of carrying their lunches to the field. It was found that a hollowed-out loaf of bread was a convenient way to transport their vegetarian curries. The curries have evolved, but the bread casing holds to form! Enjoy the spoils of your work as we sit together to dine! Overnight Africa Regent Guest House (or equivalent). Included: Breakfast, city/beach tour, cooking class/dinner, and overnight Africa Regent Guest House (or equivalent). Morning departure for King Shaka International Airport for your flight* to Cape Town. Upon arrival in Cape Town you will be taken for a quick visit to Kirstenbosch Botanical Gardens. Kirstenbosch is South Africa’s world-famous national botanical garden, set against the backdrop of Table Mountain and Devil’s Peak, and home to more than 22 000 indigenous plants. Kirstenbosch is part of the Cape Floral Kingdom, which was declared a UNESCO World Heritage Site in 2004. Kirstenbosch was established in 1913 to protect the immense floral wealth of the Cape. Located on the eastern slopes of Table Mountain, this 528ha (1 305 acre) botanical wonderland is magnificent in any season. Paved paths make walking around a pleasure, and plaques and signboards provide information on the trees and plants. Included: Breakfast, entrance fees, Gardens, and overnight Cape Town Guesthouse. Today will be set aside for a visit to Cape of Good Hope Nature Reserve. Morning departure for Cape Peninsula – here you will travel via Platinum Mile to the picturesque harbor village of Hout Bay and pay a visit to the Mariner's Wharf before continuing to the Cape of Good Hope Nature Reserve via the famous Chapman’s Peak Drive (if open). Take the Funicular trip to the top of Cape Point for breathtaking coastal views. Time permitting, the drive will end off with a visit to the African Penguin Colony. Our evening will end with one more amazing cooking course, this time with a focus on Cape Malay cuisine. Due to its unique quality, Cape Malay cooking has become an important part of the South African identity. A fusion of a traditional South African and Malaysian, or Eastern, influences, the Cape Malay cuisine is characterized by aromatic, strong flavors with complex lists of ingredients. There are some Asian elements that are easier to identify in traditional Cape Malay dishes, but there are also plenty of African and European nuances too. Included: Breakfast, entrance fees, Cape Peninsula excursion, cooking class/dinner, and overnight Cape Town Guesthouse. The morning will be set aside for an ascent of Table Mountain (please note that the ascent of Table Mountain may be interchanged for any of the days spent in Cape Town, as the ascent is weather dependent). The balance of the day will be spent exploring the Cape Winelands. It is the largest wine producing region in South Africa and is divided into six main wine regions, each offering its own unique wine route. Constantia, Stellenbosch, Franschhoek, Paarl, Robertson, and Wellington are the most popular. The geographic area is generally referred to locally as the Boland, meaning “uplands” in Afrikaans. Constantia Valley wine region is situated in mountainous surroundings and is home to some of the oldest wine estates in the country. Stellenbosch wine region is the best-known wine producing area in the Cape. In 1971 the first official wine route was founded by Frans Malan of Simonsig, Spatz Sperling of Delheim, and Niel Joubert of Spier. Franschhoek valley wine region was settled over 300 years ago by the French Huguenots. Set against the backdrop of the Franschhoek and Drakenstein mountains, the village has over 30 wine farms. Accommodation for the night will be at the beautiful Val du Charron Wine Estate. 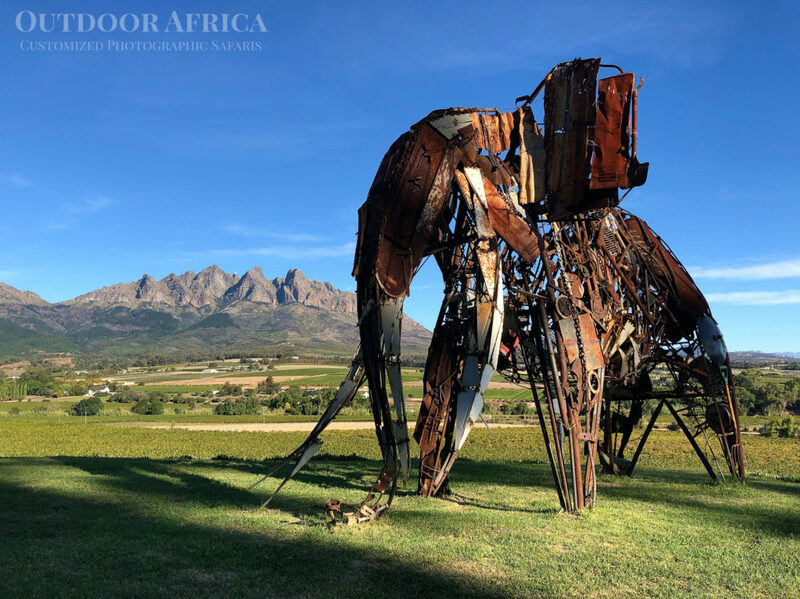 Nestling at the foot of the Groenberg mountain, the town of Wellington lies in the picturesque Bovlei valley on the banks of the Kromme River. The majestic Hawequa Mountains are silent sentinels on its eastern border. Val du Charron's 4-star Guesthouse and 5-star Coach House offer luxury accommodation in Wellington, on a working Wine Estate in the heart of the Bovlei valley. Val Du Charron is ten minutes from the town of Wellington and less than an hour's drive from Cape Town - the perfect accommodation spot in the heart of the Cape Winelands, South Africa. Val du Charron also offers a beautiful spa and conferencing facility in Wellington with two onsite restaurants: Piza e Vino @ Val du Charron, with its stunning terrace and splash pad, is a family friendly Italian restaurant with the most stunning views; and for more fine dining, The Grillroom @ Val du Charron, a bespoke steakhouse, is a treat for guests and locals alike. The original farm was proclaimed in 1699 and, as only the fifth family to hold title, the owners are conscious to maintain its historic integrity and re-establish the tradition of wine making on the farm itself. This can be evidenced in the rehabilitation of the historic buildings and the character of the architecture of the Estate. Overnight Val du Charron Wine Estate. Included: Breakfast, Winelands excursions, 2 tastings, and overnight Val du Charron Wine Estate. This day will be spent further exploring the Cape Winelands. For our final night, we will settle back in to the beautiful accommodations at Val du Charron Wine Estate where we will have a final farewell dinner overlooking the magnificent mountains of Wellington. Included: Breakfast, Winelands excursions, 2 tastings, farewell dinner, and overnight Val du Charron Wine Estate. After breakfast, transfer to Cape Town International Airport for your return flight to Johannesburg / O.R. Tambo International Airport (or home). Travel Solo, with a Friend, a Partner, or a Group! Rates are based on a 10-14 person max tour size. Spots are limited! Reserve yours today. Contact us via the form or phone to get more information and a comprehensive itinerary. *Please Note: Internal SA Flights can be arranged, but flight costs are determined at the time of booking and are outsourced by Outdoor Africa to a trusted travel agency. These would be billed as a separate line-item on your invoice and are in addition to tour price. **Please Note: All dinners included are up to 200 Rand per person, per night – any excess cost and tipping of waitstaff is of your own accord.